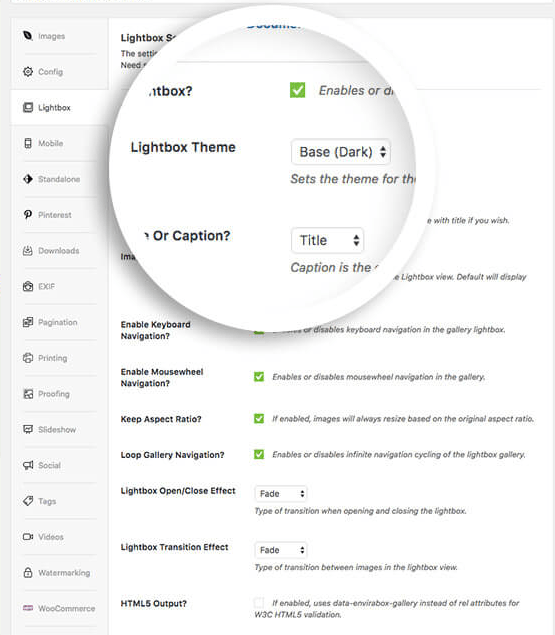 Would you like to control the limit of the caption length in your Base lightbox themes? Envira will help you easily create something custom on your site that can help you do exactly that. This guide will show you how to control the text limit on captions for your Base (Dark) or Base (Light) lightbox theme. This tutorial is a bit more technical than our other docs, but we’ll walk you through the process step by step. In order to limit the caption length, we’ll need to create and upload a basic WordPress plugin. Why is my lightbox still showing the entire caption? How may I change my caption length once the plugin is installed and activated? To control the amount of text that shows in the top of your lightbox view, just add the following code to a new file at wp-content/plugins/envira-limit-caption-text.php. In the above code you can see return 50;. This means only that the plugin will limit the caption length to 50 characters. You can easily change that number to whatever you wish before saving the file. Once you have saved the file you can easily upload this directly to your /plugins directory on your server using FTP or you can right-click on the text document and zip (or compress). Your next step is to activate the plugin you just uploaded. 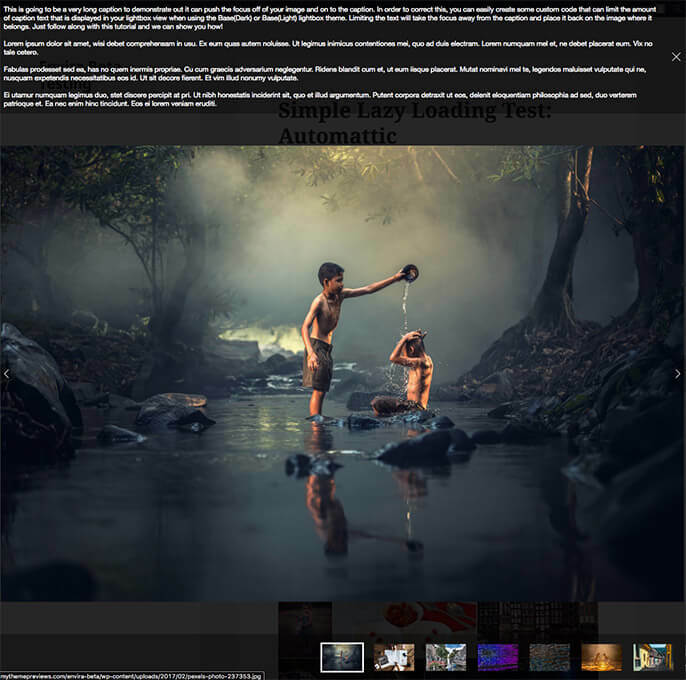 Simply navigate to the Plugins from within your WordPress dashboard and activate the Envira Gallery – Limit Caption Text plugin. And that’s it! You are now controlling the lightbox caption text limits. If you’d like to extend Envira further, check out some of our other tutorials such as How to Remove WordPress Image Compression. Q: Why is my lightbox still showing the entire caption? A: Please check the Lightbox tab to see which Lightbox Theme you are using. This plugin will only limit the caption text for the Lightbox Theme Base (Dark) and Base (Light). Q: How may I change my caption length once the plugin is installed and activated? 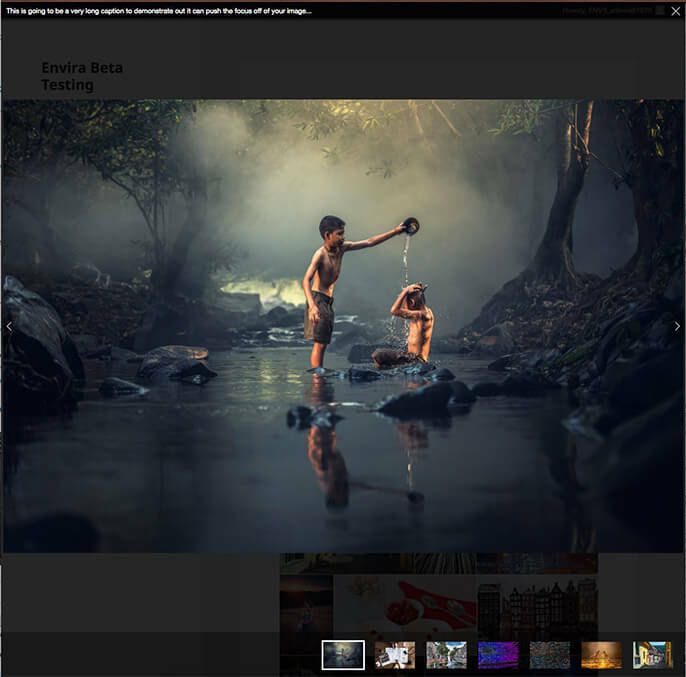 A: Navigate to Plugins » Editor and select the Envira Gallery – Limit caption count on Base Lightbox Themes from the drowpdown and click Select. This will allow you to easily change the return 50; to what ever you wish. Once you have edited the number, remember to click the Update File button at the bottom of the screen to save the changes.